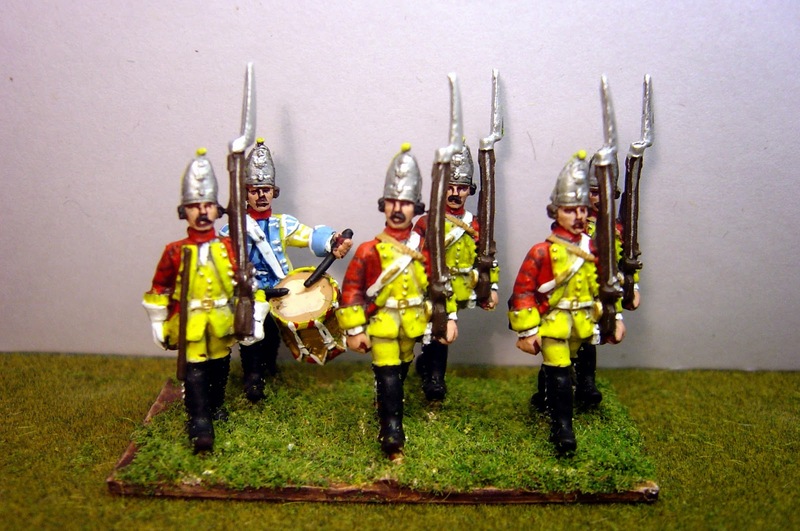 These pictures show the Saxon Grenadier Garde in their early and late headgear. Interestingly, during the WAS they appear to have had yellow coats with red facings and this appears to have been reversed by the SYW. Extremely pretty. One day, I must add this particular unit to my own collection. 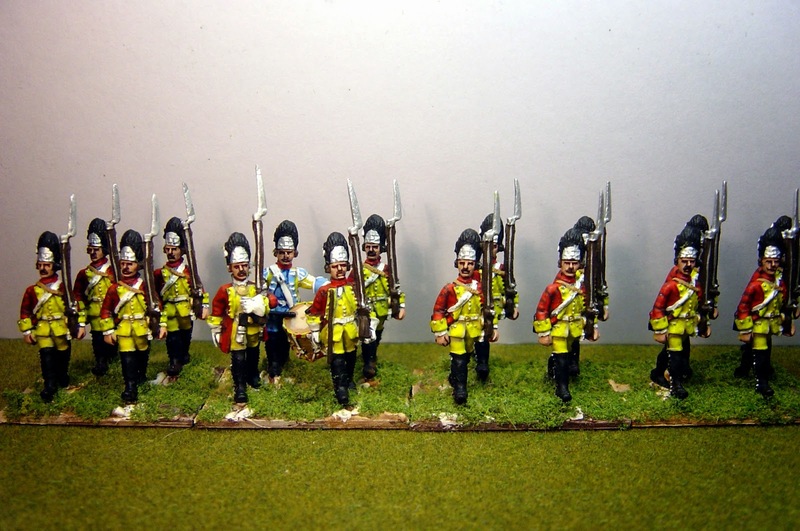 What brand of paint have you used for the crimson coats, please? I use Coat d'Arms paints or Foundry. Undercoat is Cd'A 509 Brick Red, highlighted in..........darn , the number has rubbed off. Its a bright red from Cd'A. Nicely done, great work on the colors! Just amazing amount of dedication to this period - lovely work as always.